We all know that safety should be an integral part of the systems that we build and operate. The public demands that they are protected from accidents, yet industry and government do not always know how to reach this common goal. 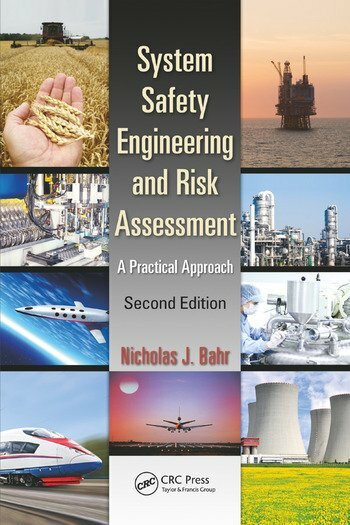 This book gives engineers and managers working in companies and governments around the world a pragmatic and reasonable approach to system safety and risk assessment techniques. It explains in easy-to-understand language how to design workable safety management systems and implement tested solutions immediately. The book is intended for working engineers who know that they need to build safe systems, but aren’t sure where to start. To make it easy to get started quickly, it includes numerous real-life engineering examples. The book’s many practical tips and best practices explain not only how to prevent accidents, but also how to build safety into systems at a sensible price. The book also includes numerous case studies from real disasters that describe what went wrong and the lessons learned. Why Do We Need Safety Engineering? Safety Analysis in Engineering: How Is It Used? Nicholas J. Bahr is an internationally recognized expert in system safety, risk assessment, and enterprise risk management systems and has over 25 years of professional experience working around the world. He has set up safety management systems for companies and helped governments improve their safety oversight programs. Over his career, Mr. Bahr has conducted programs for commercial and government clients, detailed technical risk assessments, implemented enterprise risk management business processes, and developed regulatory oversight programs throughout the United States, United Kingdom, Europe, South America, Australia, the Middle East, and North Africa. His diverse experience and background covers many industries including aerospace, utilities, oil and gas, manufacturing, and transportation. After a high-profile rail accident in Australia, Mr. Bahr was asked to lead an international team conducting a safety management systems audit of both the regulator and the railway. The audit methodology is now considered the new international gold standard for safety management systems. His client engagements range from risk strategy for senior government and commercial executives, to detailed risk assessments for front-line management. He has helped CEOs, senior VPs, and senior government officials realize tangible and sustainable benefits from their safety and risk management programs. Mr. Bahr is a past U.S. delegate to various standards writing bodies. Currently, Mr. Bahr is a principal at Booz Allen Hamilton and is the regional manager for the Middle East and North Africa. "I found Nick’s chapters on Safety Management Systems and Government Regulations and Safety Oversight, to be very comprehensive, insightful and informative. As a practicing occupational health and safety regulator and a previous transport safety regulator, I will certainly keep Nick’s second edition on my book shelf as a ready reference, just as I do with his first edition."